Quest 100 Series Wall Mount Enclosures are our economical style wall mount enclosures with equipment access through the smoked acrylic reversible front door. They include one preinstalled 80 CFM fan for ventilation, and a front set of cage nut rails. They are available in four sizes, and come in black powdercoat microfinish. 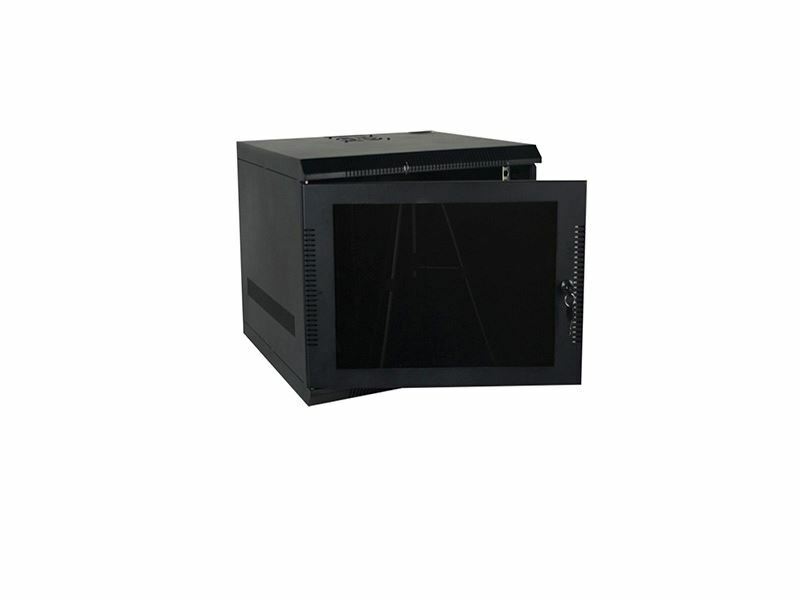 To save on shipping costs and storage space these enclosures are also available in a knockdown version as our EZ-Series of wall mount enclosures.